Targacept, Inc. (NASDAQ: TRGT), a clinical-stage biopharmaceutical company developing novel NNR Therapeutics (TM), today announced that it has initiated a Phase 2 clinical proof of concept trial of TC-5619 in adults with attention deficit/hyperactivity disorder (ADHD). TC-5619 is a novel small molecule that is highly selective for the alpha7 neuronal nicotinic receptor, which Targacept refers to as NNR, and was discovered by Targacept scientists using Targacept's proprietary drug discovery platform known as Pentad (TM). Targacept expects this Phase 2 trial of TC-5619 to complete in the first half of 2011. "In our Phase 1 multiple rising dose study in healthy volunteers, TC-5619 showed beneficial effects on a surrogate measure of attention at doses in the range being studied in this Phase 2 trial, suggesting its promise as a treatment for ADHD," said Geoffrey Dunbar, M.D., Senior Vice President, Clinical Development and Regulatory Affairs of Targacept. "The depth of our pipeline of product candidates being studied in ADHD places us at the forefront of development in this therapeutic area. The pharmacological diversity reflected by TC-5619, an alpha7 modulator, and AZD3480 and AZD1446, both alpha4beta2 modulators, underscore the potential that our NNR Therapeutics have to meet the needs of patients affected by this disorder." "Stimulants remain the most frequently prescribed therapy for ADHD. But prescriptions for stimulants must be scheduled due to their abuse potential, and they are often associated with serious side effects," said J. Donald deBethizy, Ph.D., President and Chief Executive Officer of Targacept. "A new, well-tolerated, non-stimulant treatment option could potentially improve the lives of many of the estimated 23 million adults and 22 million children and adolescents with ADHD." The multi-center Phase 2 clinical proof of concept ADHD trial is a double-blind, placebo controlled, randomized, parallel group study being conducted in the United States. The trial is planned to enroll up to 125 patients ages 18 to 65. As with Targacept's ongoing Phase 2 clinical proof of concept trial of TC-5619 in cognitive dysfunction in schizophrenia (CDS), the trial design provides for patients to be randomly assigned to one of two cohorts, TC-5619 or placebo, and dosed over a 12-week period. Patients randomized to the TC-5619 arm will be up-titrated every four weeks and tested on each of three doses of TC-5619. The primary efficacy outcome measure of the trial is change from baseline on the Conners Adult ADHD Rating Scale, a multimodal questionnaire assessment of symptoms and behaviors associated with ADHD in adults aged 18 and older. The ADHD trial is part of a recently expanded development program for TC-5619 that also includes Targacept's ongoing Phase 2 clinical proof of concept trial in CDS and other studies planned to be conducted by each of Targacept and its strategic collaborator AstraZeneca to support the potential advancement of TC-5619 into Phase 2 clinical development for Alzheimer's disease. AstraZeneca has the future right to license TC-5619 for various cognitive disorders under the parties' December 2005 collaboration agreement. Attention deficit/hyperactivity disorder (ADHD) is one of the most common neurobehavioral disorders. The principal characteristics of ADHD are inattention, hyperactivity and impulsivity. ADHD is a chronic disorder that develops during childhood, often persists into adulthood and can negatively impair many aspects of daily life, including home, school, work and interpersonal relationships. 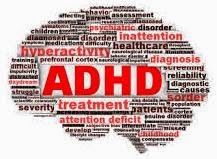 The market research firm Business Insights estimated that there were approximately 23.3 million adults and 21.6 million children and adolescents with ADHD in 2009 in the world's seven major pharmaceutical markets (United States, France, Germany, Italy, Spain, United Kingdom and Japan). TC-5619 is a novel small molecule that is highly selective for the alpha7 NNR. The alpha7 NNR subtype has been shown to be a key regulator of cognitive function, including attention, memory and learning . Preclinical studies of alpha7 modulators suggest cognition-enhancement in the central nervous system (CNS) . As a result, alpha7 NNR-targeted therapies, used alone or in combination with other drugs, offer a potential new approach to treating the constellation of symptoms associated with CNS diseases and disorders. TC-5619 has little or no interaction with 5HT3 receptors or hERG channels, properties that distinguish it from other alpha7 NNR-targeted compounds and could facilitate a more favorable tolerability profile. 1) Leiser, S.C., et al., A cog in cognition: How the alpha7 nicotinic acetylcholine receptor is geared towards improving cognitive deficits, Pharmacol Ther, (2009), doi: 10.1016/jpharmthera.2009.03.009. 2) Hauser, T.A., et al., TC-5619: An alpha7 neuronal nicotinic receptor-selective agonist that demonstrates efficacy in animal models of the positive and negative symptoms and cognitive dysfunction of schizophrenia. Biochem. Pharmacology 2009; 78: 803-812.